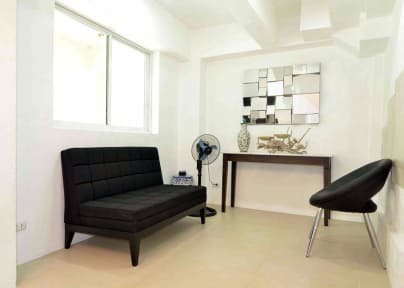 San Agustin Residences is a sister-hostel of Makati Apartelle, one of the best budget-friendly, family-run location in Makati City. We have accommodations that are a cheaper alternative to hotels and offer better value than most hostels. 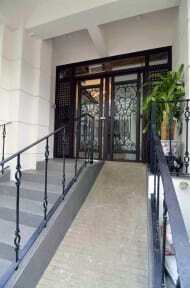 Walkable to the best Malls in Makati city, restaurants, the night life and the Central Business District. Every room has its own air-conditioner, a 32 inch flat screen TV with international channels, a personal refrigerator, one double bed 54 inches by 75 inches in size that sleeps 2 persons, a private bath with hot and cold shower, an electric fan, an electric kettle, an electronic/security vault to store your valuables and a telephone/intercom for free calls within the city. Check-in time is at 13:00 Hours. Check-out time is at 12:00 Hours (noon). Early checkins and late checkouts are subject to room availability and extra charges.